Discussion in 'Articles' started by E.T., Aug 12, 2017. Hello and welcome to the August edition of Pokémon Online (PO) News! The latest batch of Mega Stones has been released, and as a result, all of the Mega Stones are now available! In Official Tournament news, the POVT is wrapping up, but the POCL is just getting started! This edition of PO News covers all of these events as well as other tier, tournament, and server news! With the latest batch of Mega Stones, Mega Latios can now be used in SM OU; Mega Latias can be used in SM UU; and Mega Altaria, Mega Ampharos, Mega Aggron, and Mega Diancie can be used in SM NU. No quickbans have been announced at this time. Now all of the Mega Stones have been released! Crawdaunt is being suspected in SM LU due to its overwhelming wallbreaking capabilities. Crawdaunt's Adaptability ability allows it to have a STAB boost of 100%, which makes moves such as Crabhammer, Knock Off, and Aqua Jet absurdly powerful. Furthermore, it has access to Swords Dance, which can make it a potent Aqua Jet cleaner as well. Haxorus is being suspected due to its ability to perform extremely well as either a wallbreaker or sweeper. Haxorus has a massive base 147 Attack stat that can be further boosted via Dragon Dance or Swords Dance. While STAB Outrage is generally its most powerful option, it has access to Earthquake and Poison Jab to deal with Steel-types and Fairy-types. Protean is being suspected in SM Balanced Hackmons, since it allows the user's attacks to receive STAB, regardless of each move's type. Notable Protean users in SM Balanced Hackmons are Mega Mewtwo Y, Mega Mewtwo X, and Mega Rayquaza. 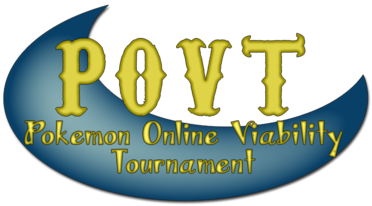 The Pokémon Online Viability Tournament (POVT) is in its final round, which features @snaga vs @Draciel vs @Z+V! Z+V defeated snaga in a 2-0 series but lost to Draciel in a 2-1 series. The remaining match, snaga vs Draciel, has yet to be played. If Draciel defeats snaga, Draciel wins the tournament, but if snaga defeats Draciel, all three players will have to battle again to break the tie. 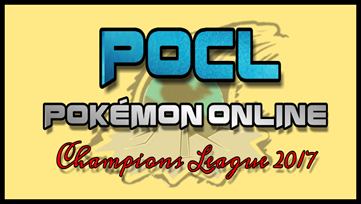 The Pokémon Online Champions League (POCL) is currently in signups. The POCL is a team tournament in which players are purchased in an auction format by team managers. Once the teams have formed, they battle each other in a round robin format, and the four teams with the best records at the end of the round robin phase advance to the playoff phase. The teams battle each other in SM OU, SM Ubers, SM LC, and the OU variant for the six previous generations. *Update Edit: Stuttgart Stoutlands have new managers: La.Melle2402 and Hassin627. It's time to announce the winners of the July leaderboards! On the regular leaderboard, @Tavi97 reclaimed first place with 90 points! @Annoying Orange finished in second place this month with 64 points, and @diamondslight claimed third with 57 points. On the event leaderboard, first place was claimed by @Troller with 11 points! Annoying Orange and Azumarill (@MUMU) tied for second place with 8 points, and @mibuchiha finished just behind them with 7 points. Congratulations everyone! It is time to announce who finished with the most points on the Trivia leaderboards in July! The player who finished in first place on the knowledge leaderboard for the third straight month was Azumarill with an impressive 241 points! First place on the speed leaderboard was also claimed by Azumarill with a modest 7 points. The player in first place on the event leaderboard was also Azumarill with 309 points. Congratulations, Azumarill, for winning all the leaderboards! This concludes this edition of PO News. If there is any news that you would like to see discussed in future editions, post in our suggestion thread or contact @E.T. on the PO forums. Pumone and Joyverse like this. Mega Diancie in NU, lol.